maple and shade: Maples Ahoy. Yep, we bought a boat...and last night was our maiden voyage. 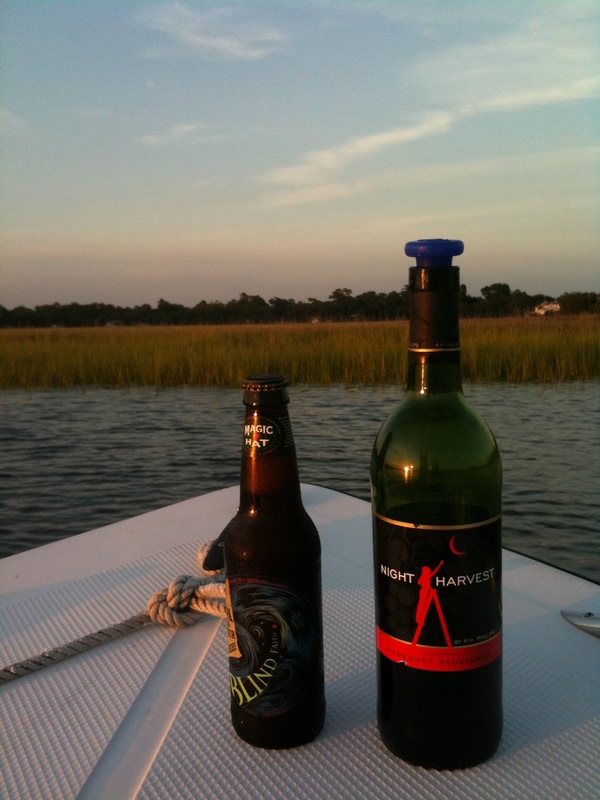 We dropped anchor in a marshy river bend, shared a little toast, and cruised those soft, summer waves. Balmy Charleston evenings will never be the same, nor will our weekends.